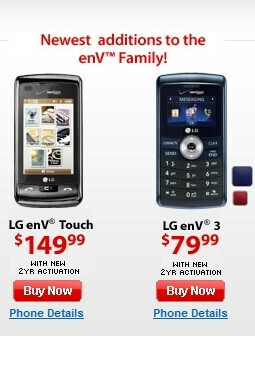 Remember when the Samsung Alias 2 came out for $79 last month and the enV3 was $129 only a week ago? That has all changed since yesterday. First off, the LG Versa, which has been $199 for a few months is now on sale for $129, and the one week old enV3 that was released at $129 is now $79. But for people looking to buy the Samsung Alias 2, the price has gone up from $79 to $149, making it the same price as the enV Touch. 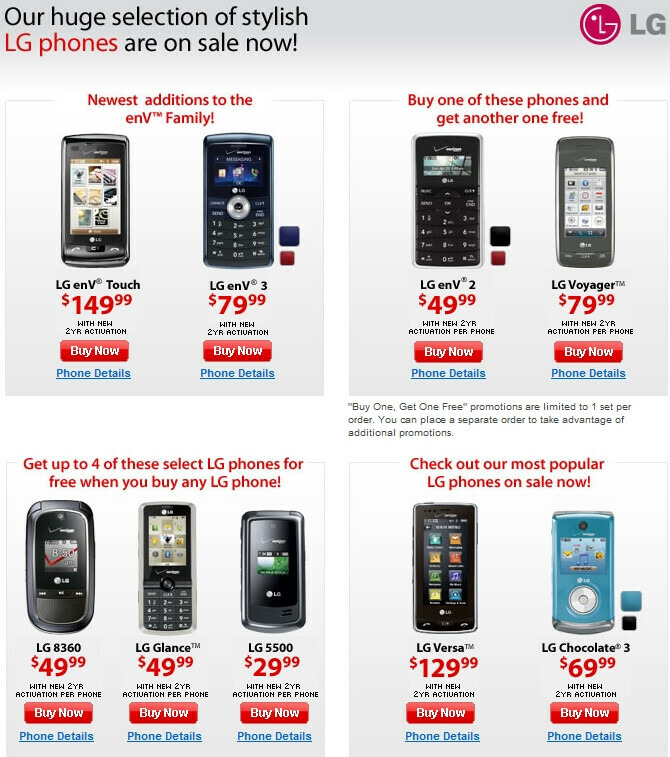 Because of the current sale that Verizon is having on LG phones, it makes us wonder if the enV Touch will be more than $149 in a few weeks. how long is this this sale going to last? no idea. it is part of the lg drive period so at least a month. These sales are always subject to change at a moments notice. My guess is that they will be good through the end of the month, and then the LG phones will go back up to regular price. Probably because inventory is severely constrained due in large to BOG4....oh yeah that phone is a POS, we have seen 20%+ come back. I called Verizon customer care and they informed me that they don't price match so I got mine for 179.99 on the 29th and I can't get it for the 129.99 now...so I returned it and re-did the upgrade. lol. Actually we do price match, if you came in to a store on they would do the price match. It hurts us far worse to take in a return and sell another new model out. That probably cost us $200 by simply not price-matching.